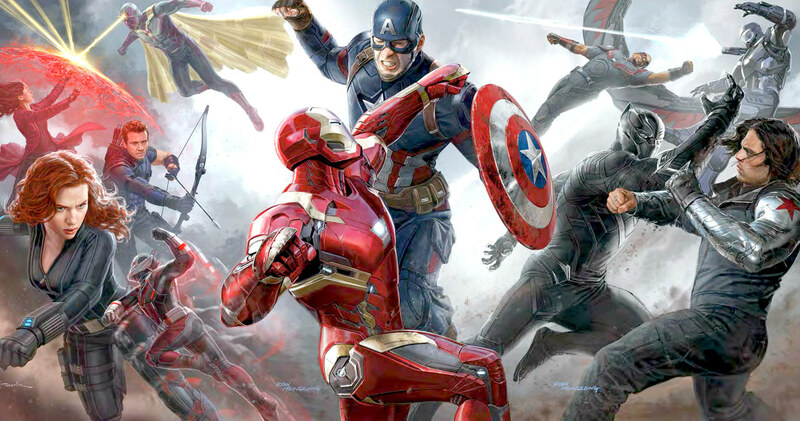 Fight between Superhero teams of the Marvel Universe. Recreates the epic cinematic battle at the Airport. Marvel is a licensed copyrighted product. This is merely a fan site. Betrayal: On turns 10-12 Team Cap takes control of Black Widow. Friendly Fire: On turn 11 Team Cap takes control of Vision. Use an 8 X 8 chessboard. Use miniatures or small toys to represent the heroes. They need to easily fit on the board. Use a regular 52 card playing deck. Each hero has 5 Hit Points (HP). Every time a hero gets attacked and does not defend, it loses 1 Hit point. Place your Heroes on your back rows. First, each player fills their hand to 6 cards. If the deck runs out, shuffle the discard and draw from it. A Hero can only move and attack once in a turn. A Hero can defend multiple times in a turn. If a player has no cards left, or nothing he wants to do, he may pass. A player who passes may play no other cards this turn except Defense cards. When both players have passed the turn ends. Heroes may not end their turns in the same space as another hero. Heroes however, may move or attack through (past) other Heroes. A King card can be used to have a friendly Hero attack an adjacent enemy Hero. A Queen card can be used to move a friendly Hero 1 or 2 spaces. Within 2 spaces of each other may neither move nor attack the rest of this turn. Heroes the rest of this or next turn. These are considered to be number ones. Each Hero has his own Action Table. Table corresponding to the number of the card. Each table describes 10 numbered actions that Hero can take. Attack values indicate the range of the attack emanating from that Hero. Movement values indicate how far the Hero will move. Special actions are described in the notes. Some attacks have the Stun Description. A Hero hit by one cannot perform any more actions for the rest of the turn. Some attacks have the web Description. Some attacks have the Knockback Description. Same as Black Jack but with a Range of 1.